Should you sniffle, shuffle, or sleep? Winter is upon us and it seems like everyone around is getting “the cold.” Here’s what you can do to avoid one and how to train if you catch one. Research suggests that moderate exercise actually increases your resistance to common colds, but be careful after a hard long run or marathon – your immune system is suppressed for 12–24 hours. During this time, make sure to wash your hands well, take vitamin C, get lots of recovery sleep and try and avoid those snifflers around you. Unfortunately, sometimes you just can’t dodge that infectious bullet, in which case you have to decide whether to run through it or rest. There are a number of infections that could cause you to feel unwell. 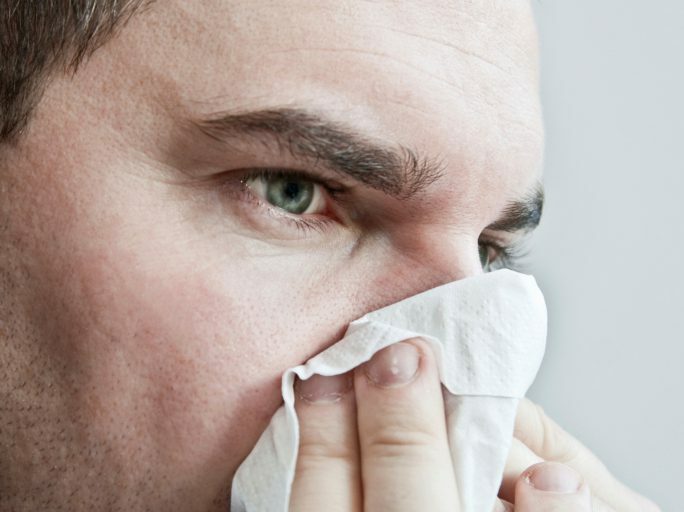 The cold virus typically causes symptoms in the upper airways, while the influenza virus can result in high fever, headaches, diarrhea and shortness of breath. It must be treated with caution. Bacterial infections, while much less common, can cause infections in the lungs, and can be treated with an antibiotic. 1. Do you have symptoms below the neck? If you have chest problems, or other flu symptoms below the neck, it’s probably best to rest. 2. Do you have a high fever? You should never exercise when you have a temperature of 37.5 C or above. Working out when you have a fever can cause your body temperature to rise even higher. 3. Do you have hacking cough or shortness of breath? This may indicate an infection in your airways, and you should avoid exercise, particularly if you have asthma. 4. Do you have diarrhea and/or vomiting? These cause dehydration, which can be worsened by exercise. 5. Are you extraordinarily tired or have palpitations of the heart? If you have any of these, it’s probably best to rest and consult your doctor. 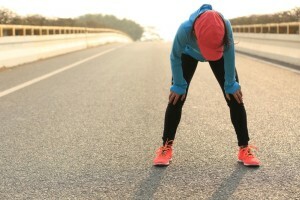 If you just have the sniffles, you may be able to go running, but it’s probably best to cut your mileage in half, drink lots of fluids, avoid a hard interval workout for a few days, and get extra sleep. The run may help get your blood circulating and reduce your symptoms. Obviously, if you really feel unwell, consult your doctor. Good luck dodging the bullet. Dr. Mark Bayley is a longtime all-season runner and a Toronto physician. This story appeared in a former issue of Canadian Running. Now you tell me! Oops should have read this four weeks ago!